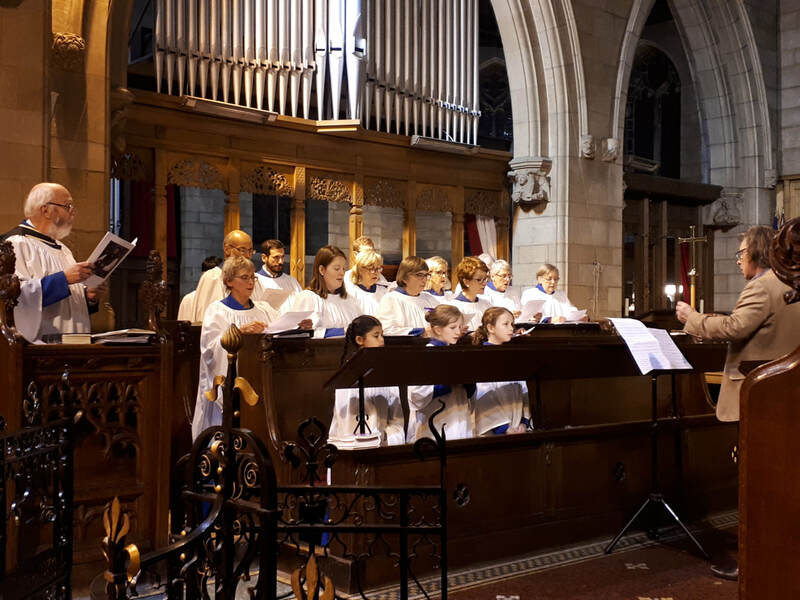 St Giles Choir leads about 70 services every year - Choral Eucharist every Sunday morning at 9am, and Choral Evensong (BCP) at 6pm on the first and third Sundays of each month. ​They're a traditional robed Anglican SATB choir, with their own music library and a growing repertoire of anthems, some of which have been especially written for them. The choir particularly enjoys singing the music of the sixteenth-century composers such as Byrd, Tallis, Tye which we love to perform a cappella to the glory of God in the magnificent Victorian choir stalls at St Giles.